StoneSet was represented byTori Newton on Season 2, Episode 1 of the ‘Reno Show’ . Demonstrating the application of Tan Pour On kits to host Naomi Findlay, see how quickly Pour On can be applied! 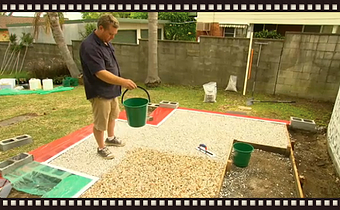 – watch the episode here. Barry Du Bois calls on Cherie Barber to help a brother and sister team to fix up the outside of there cottage project. 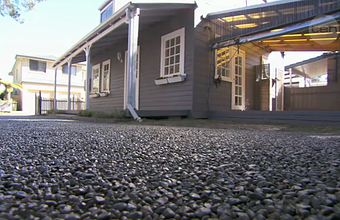 The Pour On driveway gets a lot of love form the renovators and the valuer – watch the episode here. 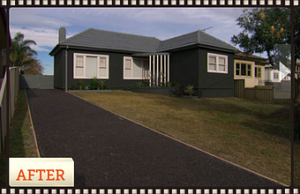 Renovating for Profit expert Cherie Barber used Pour On Gravel Binder for this front of house project in Lake Illawarra, NSW – watch the episode here. 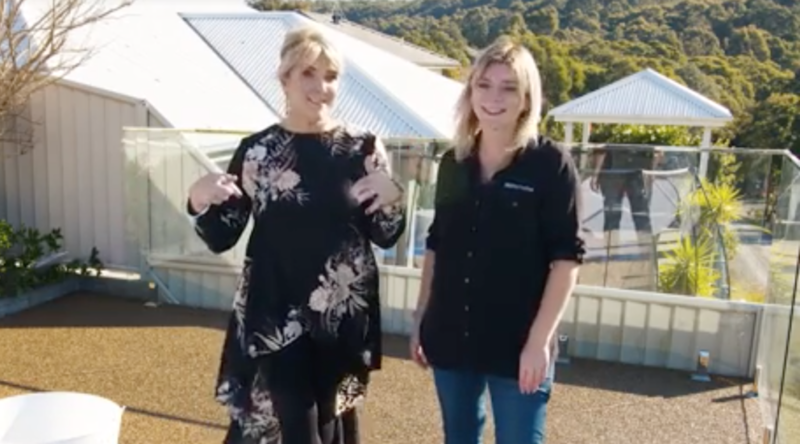 StoneSet were asked to deliver a speech reflecting on our success since our win at the 2012 Telstra awards – Tori Newton delivered this speech to the class of 2013. Jason Hodges used Pour On Gravel Binder to create a retro themed garden area in an episode for the ever popular channel 7 show. Jason Hodges incorporated a StoneSet path into his garden on the Jenny Craig feature stand at this years Melbourne International Flower and Garden Show. This clip is from Better Homes and Gardens. Sales director Tori Newton appeared on Sky Business program Switzer with Peter Switzer. We were awarded as winners for NSW in the 2012 Telstra Business Awards. StoneSet supplied the paving for the permeable paving feature on the Savewater stand at the Melbourne International Flowers and Garden Show.